The universe was created by the Creator, damn it. We live in a country we love and that loves us back. We have families and friends and jobs that make it all worthwhile. We are somebodies, not a bunch of nobodies without names or numbers or retirement plans. None of this is going to be overhauled by a thought-criminal who contends that the world is not double-plusgood and never will be. Our lives may not be unflawed – that would deny us a better future to work towards – but if this charade is good enough for us, then it should be good enough for you. Keep your medicine cabinet and your liquor cabinet well stocked just like the rest of us. Come on and join the party. No pessimists or depressives invited. Do you think we are morons? We know all about those complaints of yours. The only difference is that we have sense enough and feel good enough for long enough not to speak of them. Keep your powder dry and your brains blocked. The Conspiracy Against The Human Race är inte en brandfackla mot Livet, utan snarare en Molotov Cocktail kastad mot själva Existensen. 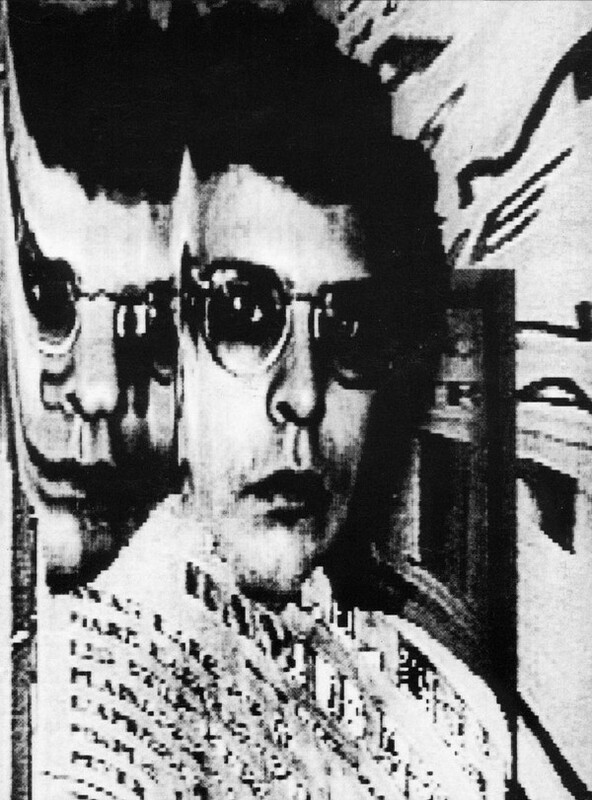 Ligotti tankar flaskhalsen full med tankegods från Schopenhauer liksom Zapffe och tar avstamp i en rent antinatalistisk livsåskådning. Det är med andra ord en bok som har lite gemensamt med poserande pessimism i prosa eller romantiserande suicidsånger framförda för att få talla på minderåriga backstage. Tvärtemot synsättet som genomsyrar samhälle, filosofi och religion, beskriver Ligotti människan som en Köttdocka utan större inflytande kring vare sig sin existens eller sitt så kallade öde. En ynklig organism som framlever sin tid med känslan av att ha skapats av något övernaturligt ont, och därför panikslaget fyller sitt medvetande med distraktioner och hopp; i fruktan för att depressioner, galenskap eller sann insikt ska drabba deras sköra sinnen. They trust in Jesus Christ, a historical cipher stitched together like Frankenstein's monster out of parts robbed from the graves of messiahs dead and buried - a savior on a stick. They trust in the virgin-pimping Allah and his Drum Major Mohammed, a prophet-come-lately who pioneered a new genus of humbuggery for an emerging market of believers that was not being adequately served by existing religious products. They trust in anything that authenticates their importance as persons, tribes, societies, and particularly as a species that will endure in this world and perhaps in an afterworld that may be uncertain in its reality and unclear in its layout, but which states their craving for values "not of this earth" - that depressing, meaningless place their consciousness must sidestep every day. I slutändan kommer Ligotti in på Dark Fiction, Supernatural Horror; det vill säga den konstform och den berättarkonst han anser möjliggör för Köttdockan att åtminstone se vaga konturer av Dockmakarens trådar, i denna existensens poänglösa föreställning. Det är varken snabbmatsslasher eller dressmanvampyrer det handlar om; Ligotti drar snarare paralleller mellan Joseph Conrad och Ann Radcliffe än mellan diverse samtidsproducerad skräck. 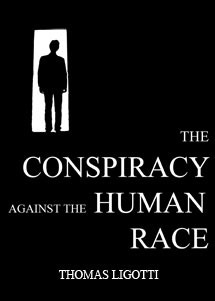 Istället fokuserar Ligotti på de berättelser som på olika sätt har beröringspunkter med teserna han vill föra fram i The conspiracy against the human race. Liksom att belysa skräckvisioner som inte helt otippat kommit att prägla hans eget författarskap. Almost nobody declares that an ancestral curse contaminates us in utero and pollutes our existence. Doctors do not weep in the delivery room, or not often. They do not lower their heads and say, “The stopwatch has started.” The infant may cry, if things went right. But time will dry its eyes; time will take care of it. Time will take care of everything that is and everything to come. Then all will be as it was before we took our place in this place. Human life: it does mean something, but not so that it might as well mean nothing. So be it. There will come a day for each of us —and then for all of us— when the future will be done with. Until then, humanity will acclimate itself to every new horror that comes knocking, as it has done from the very beginning. It will go on and on until it stops. And the horror will go on, as day follows day and generations fall into the future like so many bodies into open graves. The horror handed down to us will be handed down to others while the clock is still ticking. Could it be possible that we all deserve to die, and to die out? But our heads are not obsessed by such questions. To ask them is not in our interest.